The content in this post is not intended to be a substitute for professional medical advice, diagnosis, or treatment. Always seek the advice of your physician or other qualified health provider with any questions you may have regarding a medical condition. It's March, which means March basketball. It's intense. It's real and it's life. Sometimes I experience foot pain from standing or pacing back and forth for long periods of time while screaming at my TV when the ref makes a bad call. 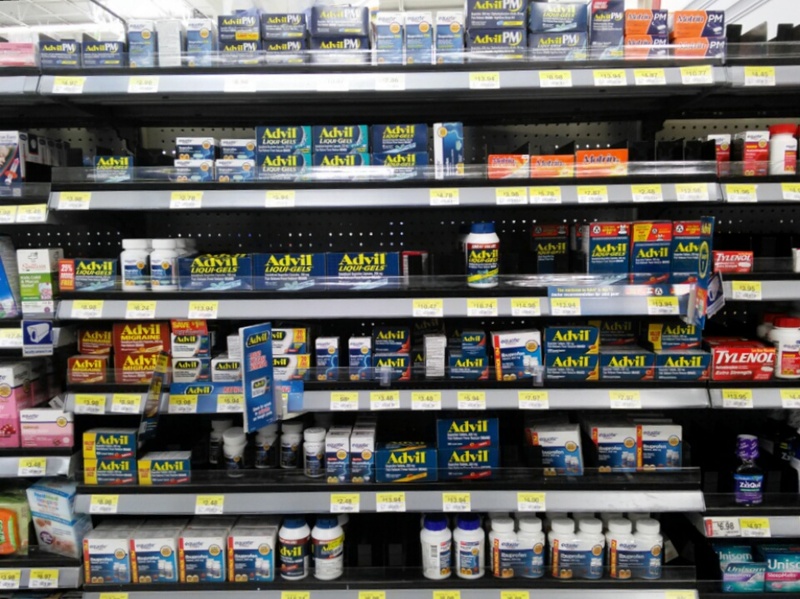 I'm always glad I prepared in advance to have Advil come to the rescue. 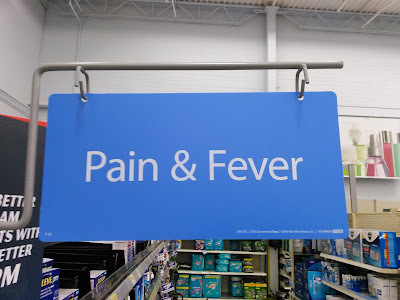 Advil is my personal referee, calling a technical foul on the pain and making it go to the bench for the duration. 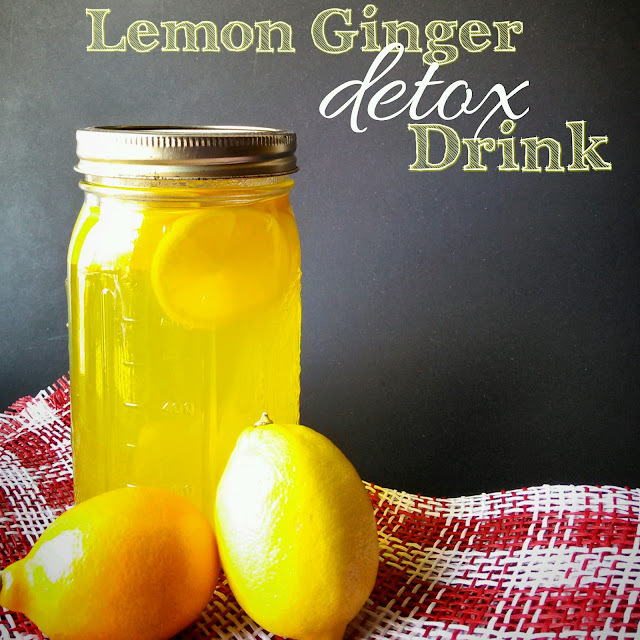 And I'm definitely into giving the harm I caused its marching orders with a quick detox drink. these days I'm more than likely to overindulge with good food and drink while watching my favorite college basketball teams play during March than anything. Sometimes I have headaches, maybe a little light back pain from dancing in celebration of my team winning. 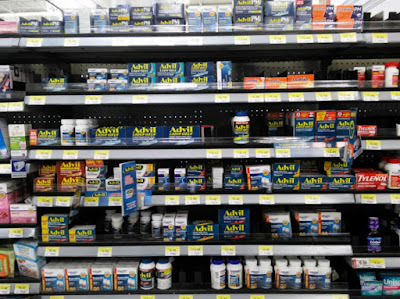 Advil comes to the rescue. I'm prepared for anything this sports season has to throw at me now that I've stocked up on everything I need at my local Walmart. As part of my "35 by 35" plan, I'm going to show you how to make a homemade lemon ginger detox drink that's easy to make, can be consumed hot or cold and won't interfere with any medication you may take along with it, be it Advil for aches and pains or Nexium for epic heartburn. This Lemon Ginger Detox Drink will hydrate you, help reduce inflammation, essentially helps to cure headaches and is mega flavorful to boot. 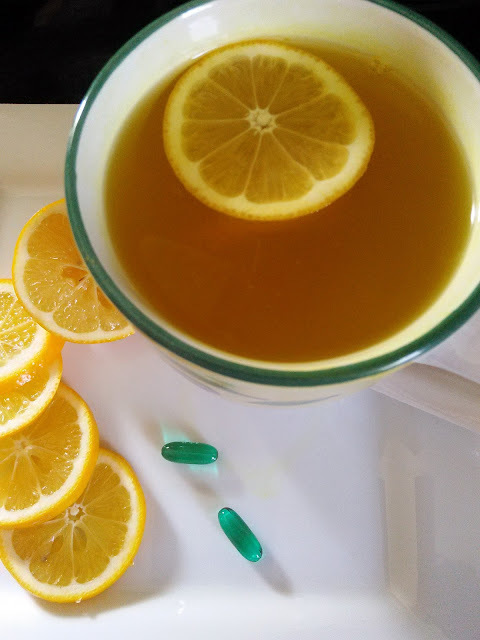 Lemons have Vitamin C and they contain flavonoid compounds that have antioxidants. Ginger and turmeric (the stuff that makes curry powder yellow) are potent anti-inflammatories. 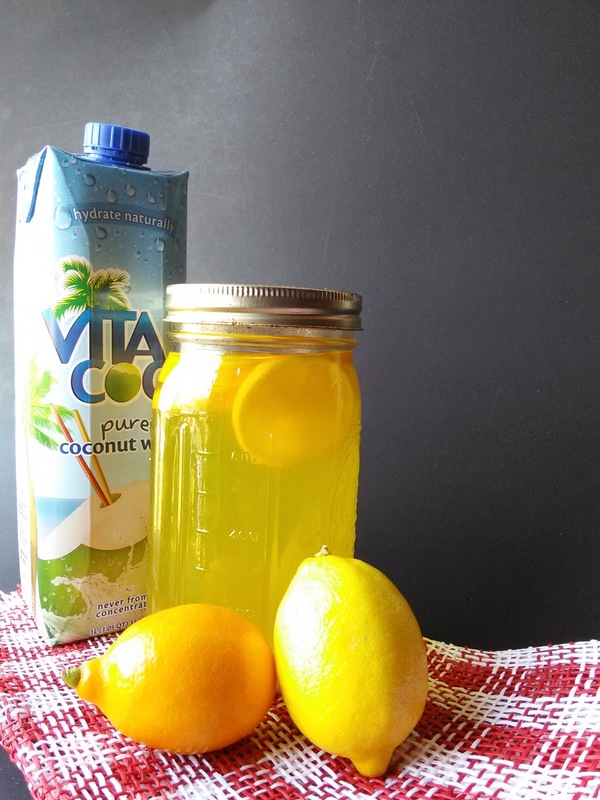 Honey is anti-bacterial and coconut water is full of potassium and that makes it super-hydrating (even moreso than water!) and with that, you have a slam dunk, winning combination, if you will. This drink is a godsend most mornings after a night of post-basketball game festivities. Trekking to Walmart to collect the ingredients is a no-brainer. Using ground ginger, ground turmeric and meyer lemons are convenient to have on hand to make a pitcher for the fridge. Fresh, whole foods are better, but sometimes you have to make due with what's in the pantry or what your wallet allows. Having it on hand and being ready makes my life easier. 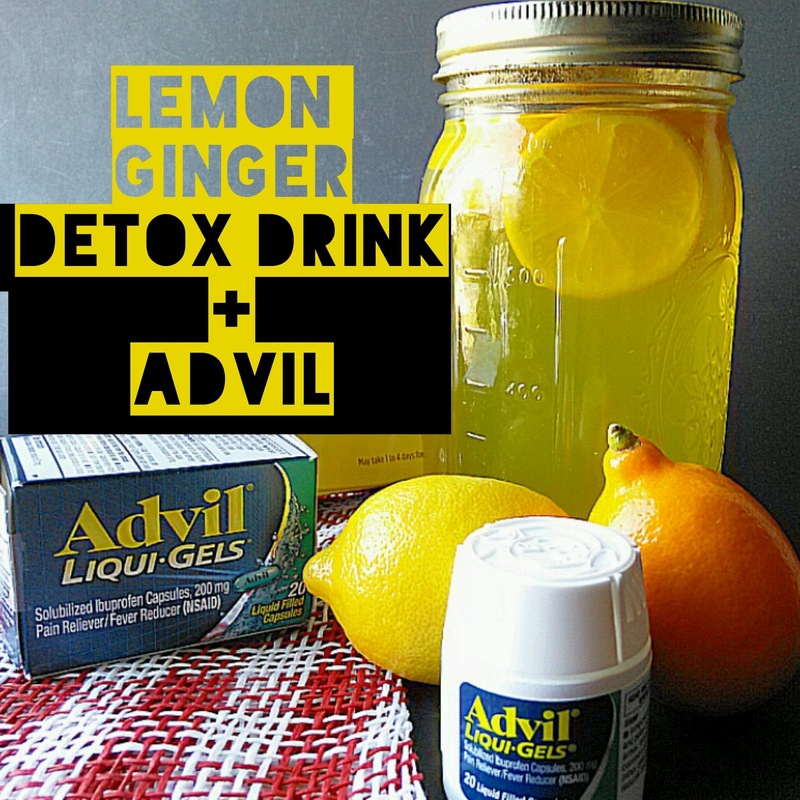 Are you ready to create your own post-party detox kit with Advil and Nexium? Get your own coupons here. How do you prepare for your favorite basketball watching sessions? Have any rituals? Rites of passage? 1. 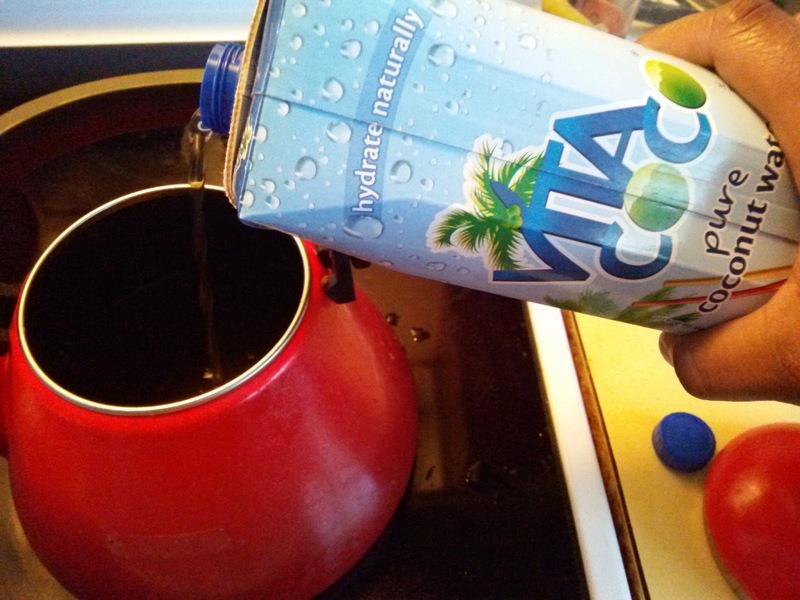 Bring the coconut water to a boil in a small saucepot or tea kettle. Take it off the heat. 2. Add honey to coconut water and stir to dissolve. 3. Mix in the lemon juice, sliced or ground turmeric and sliced or ground ginger. 4. Let it steep for 5 to 10 minutes and remove the ginger and turmeric slices. 5. Enjoy! Let this sit overnight to get maximum flavor out of the lemon, ginger and turmeric. 1) If using ground ginger and/or ground turmeric, add it as soon as the coconut water comes to a boil. Whisk it in and then take the water off the heat. Add honey, lemon juice and lemon slices. 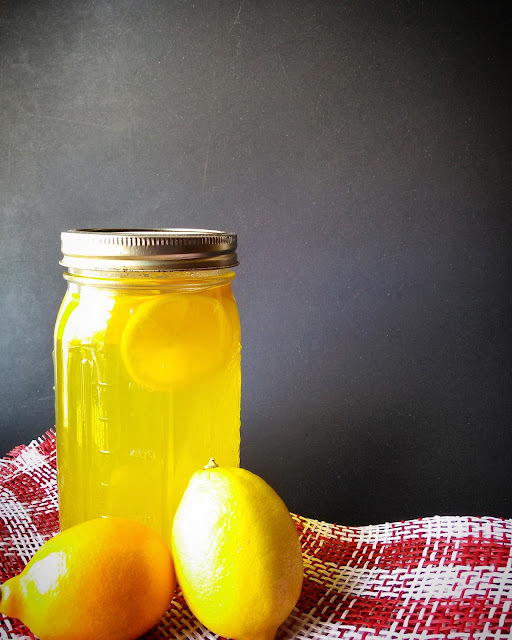 2) Use Meyer lemons, they are sweeter than conventional lemons. 3) To enjoy as a chilled drink, refrigerate at least 3 hours or overnight. The drink will stay fresh for 3 days. Remove lemons before storing or the drink will become bitter. My college technique for hangovers is no longer acceptable unless you have a medical license or live in Denver or Washington. As a grown up, I take 4 Advil before bed and wash it down with a big glass of water. This would be lovely refreshment anytime. Thanks, I will give it a try. 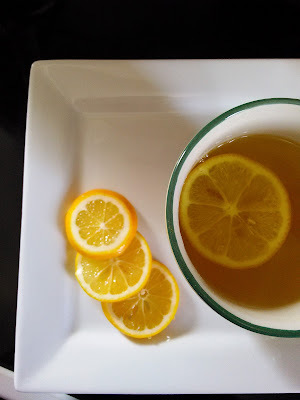 My mom & I keep thinking about taking detox drink together, but finally I have made the first step to find the nice recipe.Thanks for giving some ideas!